I've been doing some reading about the olden times recently. Thanks to David Sheff's 1993 book, Game Over: How Nintendo Zapped an American Industry, Captured Your Dollars, and Enslaved Your Children, I've come across some amusing and interesting pieces of Nintendo history. Despite the book's alarmist title, it's actually quite thoroughly researched and well-written. Mixed in with the corporate history of the company and analysis of the 1980s and early 1990s game industry are compelling stories about the people behind the company. One such story reminded me of a certain popular sci-fi show with which many of you are familiar. 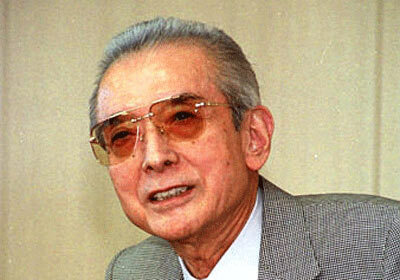 By all accounts, Hiroshi Yamauchi, longtime Nintendo president, was a difficult man to deal with. The man responsible for turning Nintendo into a video game empire was also prone to fits of temper. While his obstinacy and dedication to the business helped build an empire, it often put a strain on his relationship with his family. His frequent business trips and tendency to seek "companionship" from women other than his wife were particularly irritating to his daughter, Yoko. At an early age, Yoko decided that, should she ever marry, her husband would be nothing like her father. During her senior year of college, Yoko met Minoru Arakawa at a high-society ball put on by Kyoto's old monied families, of which Minoru was a member. They quickly fell in love and were married. In a foreshadowing of things to come, Yamauchi eventually took a liking to his son-in-law and came to trust his judgment. While the first year of their marriage was idyllic, things got more stressful when they moved from Japan to Canada, where Minoru was overseeing one of his company's real estate ventures. Life in a foreign country, away from friends and extended family was hard, especially after they had kids. However, Yoko and Minoru had resolved to make it on their own, without any financial help from their considerably wealthy families. This would change in 1980. 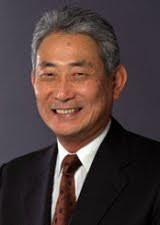 Since at least 1979, Yamauchi had been pressuring his son-in-law to become part of the family business. Yoko, remembering how her father's association with Nintendo had affected her own childhood, warned Minoru away from these offers. Finally, in 1980, Yamauchi offered Minoru an opportunity he couldn't pass by: Yamauchi wanted to expand the business into America, and he wanted his Minoru to lead the charge. Somehow, Minoru was able to convince Yoko to go along with this and they moved to New York where Minoru Arakawa took his position as the first president of Nintendo of America. Despite all Yoko's efforts, both Nintendo and Yamauchi had reasserted huge roles in her life. While I doubt there were any mystical islands, plane crashes, or cryptic numbers involved in the Arakawas' story, I couldn't help but be reminded of Woo-Jung Paik (Sun's father) from Lost. What is it about titans of industry and trying to circumvent their daughters' wishes by bringing their son-in-laws into their cut-throat family businesses? Thankfully for Yoko and Minoru Arakawa, life seems to have turned out better for them than it did for Jin and Sun. After leading Nintendo of America for 22 years, Minoru retired in 2002. Presumably, he is still living in our time line and has yet to encounter any smoke monster-related difficulties. "What is it about titans of industry and trying to circumvent their daughters' wishes by bringing their son-in-laws into their cut-throat family businesses?" Leverage.